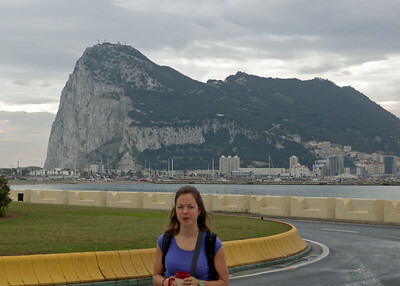 The Rock of Gibraltar is a tiny territory of Britain on the tip of Spain at the Strait of Gibraltar. 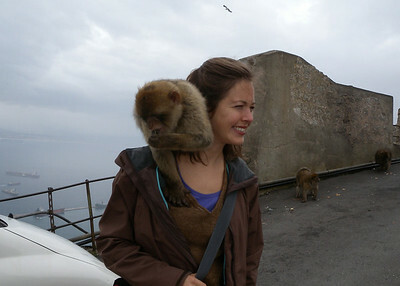 You can see Africa from here it's just 9 miles away! 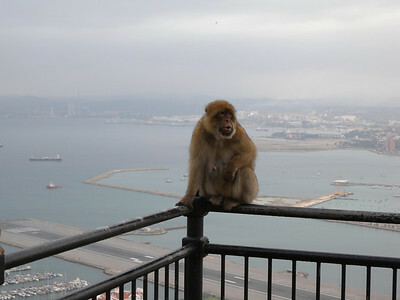 The residents are strictly British and don't consider themselves part of Spain at all. 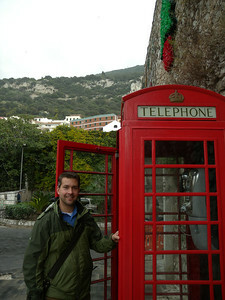 They look and sound British and are proud of it. 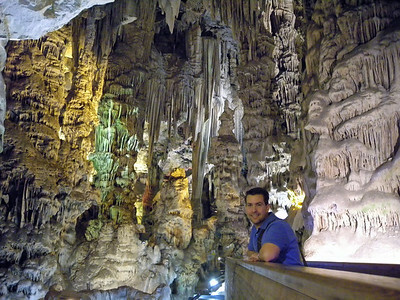 Gibraltar is full of caves and tunnels and was once inhabited by Neanderthals! 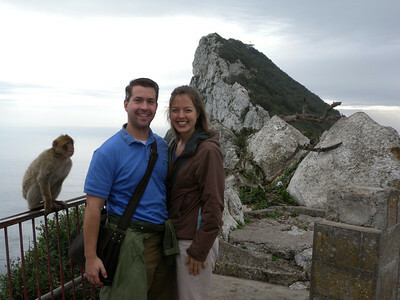 Gibraltar supports the only native species of monkeys on the entire continent of Europe. 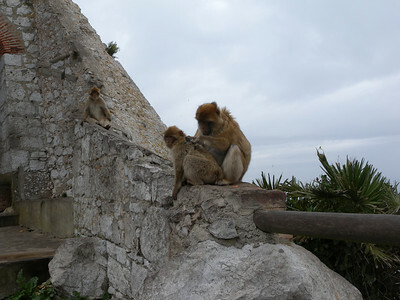 They are a tailless species, and are locally known as Barbary Apes or Rock Apes, despite the fact that they are monkeys. 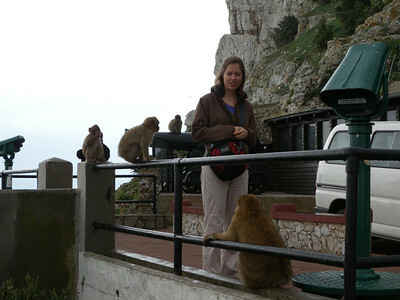 They are technically Barbary macaques and were brought here from Africa thousands of years ago by sailors. 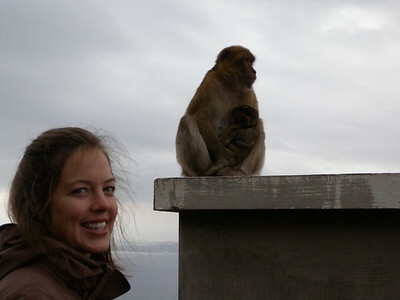 And, unlike their North African cousins, they are thriving. Do you ever get the feeling someone's watching you? 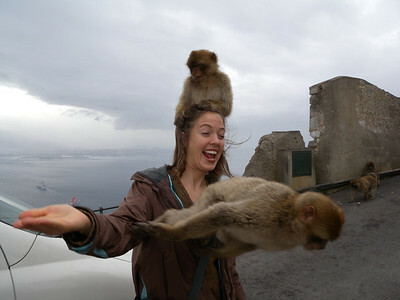 As I found out, they are pretty tame. 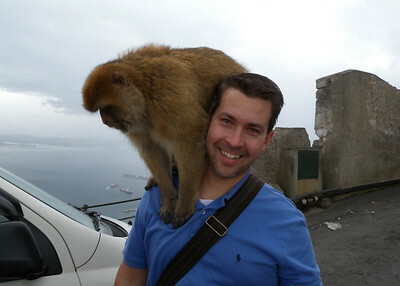 So that's what it is like to have a monkey on your back. 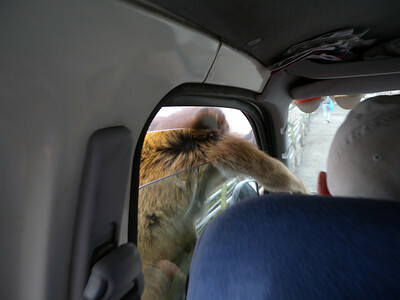 They're looking for food, many of the tourists feed them but you're not supposed to! 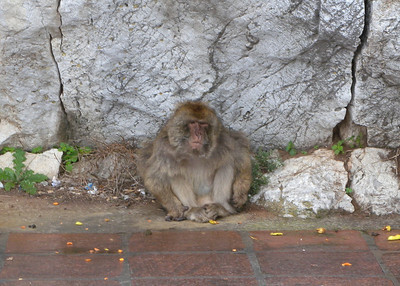 Gibraltar monkey is not amused. They weren't happy to see us leave! Drive!